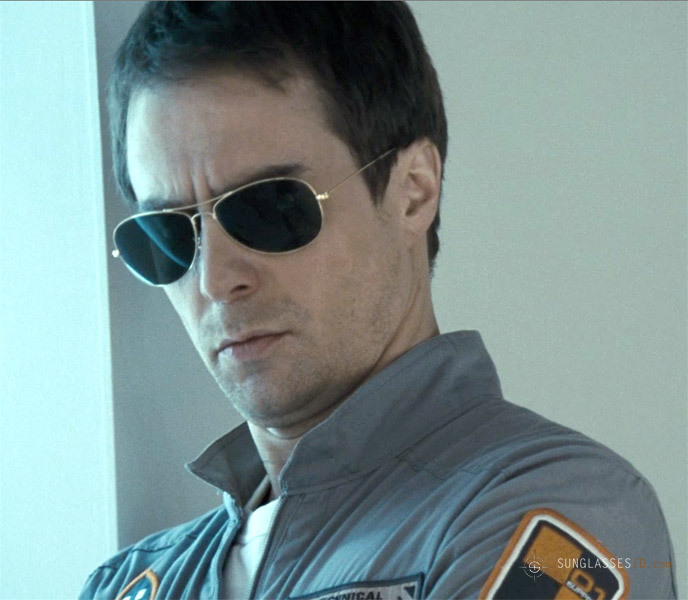 In the 2009 science fiction movie Moon, Sam Rockwell wears Ray-Ban RB 3362 sunglasses. Even, or especially in space, a good pair of sunglasses comes in handy to ban those sun rays. In the same film, Sam Rockwell wears a Diesel wristwatch, check it out on Watch-ID.com.